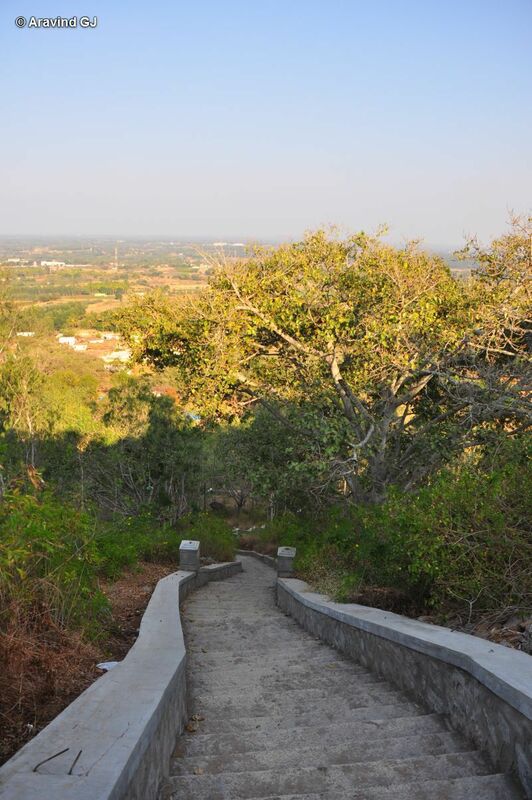 Mahimapura is a small village near Bengaluru. 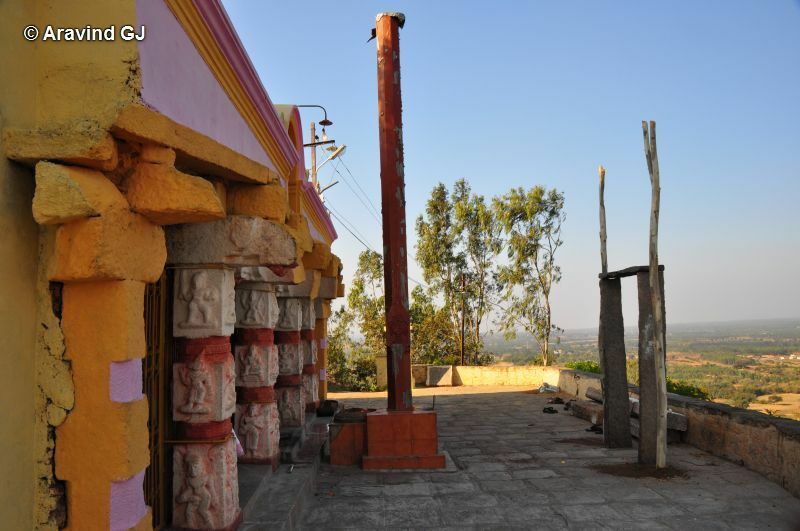 Situated in the village is Ranganatha Swamy Temple on a hillock. From Bengaluru, travel towards Tumkur. After about 10 km from Nelamagala toll gate, you see an arch on the left side. Enter into the road and the village is 1.5km from the highway. The huge number of shops at the base of the hillock gave an impression of big crowds. But barring shop keepers, no other human beings were seen. We had to climb about 350 steps to reach the Temple. It’s an easy climb with my daughter happily climbing on herself. Barring a stray dog, there was not even a single soul at the Temple. The area itself is calm and peaceful. The scenery from top is nothing special. 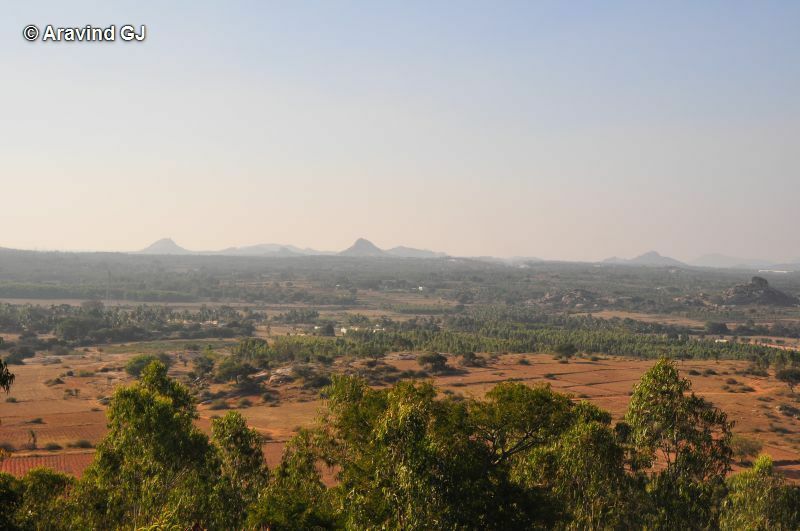 Shivaganga, which is one of the highest hills in the area, can be seen from the top. We spent about 45 minutes and there was no one to disturb us. It was all for us!! Back in the base, we found ourselves eating hot “bendu Battas”. I do not know what they call in English but it was a long time that I tasted them. It brought back my memories of jatre (fair) in Sagar where I use to eat it. Luckily you , when we had gone there mad crowd , with lot stuff happening around the temple . Anyways nice pics . wow, what a serene place. But is this place safe..? Wonderful post, totally enjoyed it. If you don't mind, i'd like to suggest you to visit manchinbele, and kanva, both wonderful, less explored picturesque locations. It looked safe. And we did not see any drunkards. Thanks for your comments. I ahev seen Manchinabele and Kanva… lovely spots.